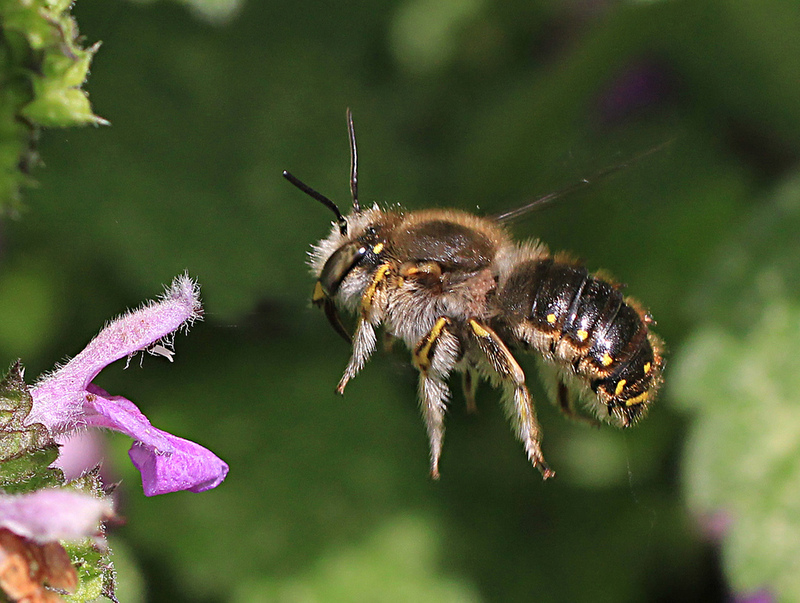 BWARS is continuing to expand its various mapping projects in 2013, and we are now adding a page for the Wool-carder Bee, Anthidium manicatum. If you have any records of this spectacular, aggressive, territorial and distinctively marked solitary bee, please submit the full details via this online recording platform. There is a facility for uploading photographs to support records if you have them. Please use the boxes below to provide information on numbers, sexes, flower visitation, behaviour and nest sites, and include any additional information in the "Comment" section.